Back Office Pro (BOP) works as a BIM Outsourcing Services partner and helps clients avail apt BIM solutions that aid in timely project delivery at a reduced price. With a proven record of providing high-level BIM drafting services, BOP works as a back-office team to extend support for large construction companies as well as independent architects. During project influx or scaling up requirements for internal teams, BOP assists in transforming drawings, blueprints, PDF files, point cloud scans to BIM models. BOP improves collaboration among various teams in the construction with ingenuity, eye for details and core domain expertise. Helping builders, contractors, architects, and real estate developers throughout various phases of building development, BOP’s team of engineering specialists help in improving productivity by ushering streamlined approach. 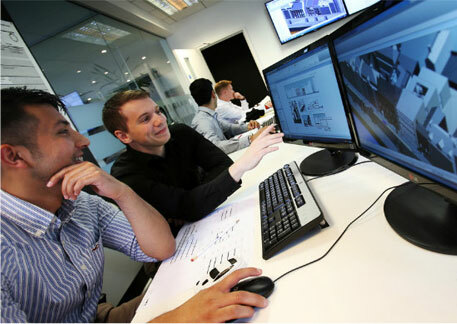 In-depth working knowledge of relevant BIM technologies to coordinate with architectural, structural, mechanical, electrical, fire protection and plumbing and drainage drawings. In-depth understanding of BIM core concepts and standards as LOD 200, 300, etc. Understanding of POWER CAD/BIM Standards and processes to ensure qualitative project completion. 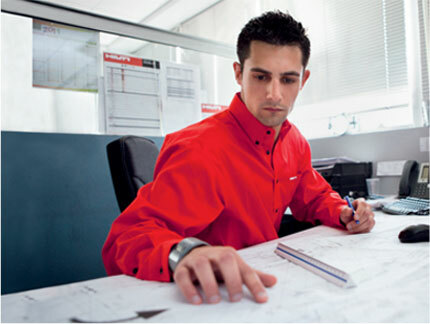 Engineering degree in Mechanical, Civil, Electrical or Architectural Streams. Training in advanced levels of Computer Aided Design (CAD), AutoCAD, Autodesk 360, Revit, Navisworks Experts, 3D Studio Max, SketchUp, etc. Ability to set-up, develop as well as maintain and coordinate reviews on all projects using 3D CAD or Revit modeling in Autodesk Navisworks. Ability to use time productively and prioritize projects to deliver projects on time. Highly adaptive to changing trends to meet future technological requirements. Collaborate with both internal and external Design and AE consultants to ensure standards are maintained. Mechanical BIM Services To aide mechanical BIM design projects, BOP offers HVAC design and drafting, Duct layout, piping, pump head calculations, Revit family creation, Cost, Quantity, and Material Estimation, Clash Detection, and other services. Architectural BIM Modelling Services BOP also offers Residential and commercial BIM drafting, Foundation plan drawings, Elevations Modelling, Interiors Drafting, Code and standard compliance, Shop drawing support, etc. Structural BIM Drafting Services BOP also supports Steel structure design drafting, 3D Rendering, Construction and GA drawings, Walkthrough design, and drafting, FEA analysis, etc. Electrical BIM Drafting Services One Line Diagrams and Power & Lighting Drafting support services for electrical BIM drafting projects. Point Cloud to BIM BOP offers exclusive scanned files to BIM modeling services that enable restoration and infrastructure projects. When a client outsources BIM services to BOP, in ensures result-oriented services and undeniable benefits that not only assure a higher ROI but also provide various effectual value-adds. Accurate cost estimation with BIM 5D not only the project cost but material take-off details, etc. With our information-rich BIM models, project visualization, segmentation, and expansion have become much easier and error-free. To ensure utmost data security, all labs at BOP have advanced security checks and access. The team uses high-end servers to ensure data is never lost and easily retrievable. BOP enables highly precise and accurate BIM drafting services to help large and complex construction projects at an affordable cost. Understanding unique client needs, the team scales up to meet larger projects and has a record of delivering projects on time. The architectural engineering team expertise in working with multiple vendors across various stages of construction and is adept at handling large sized projects. Contact us today to outsource BIM Services and get a BOP advantage to help streamline your construction projects.